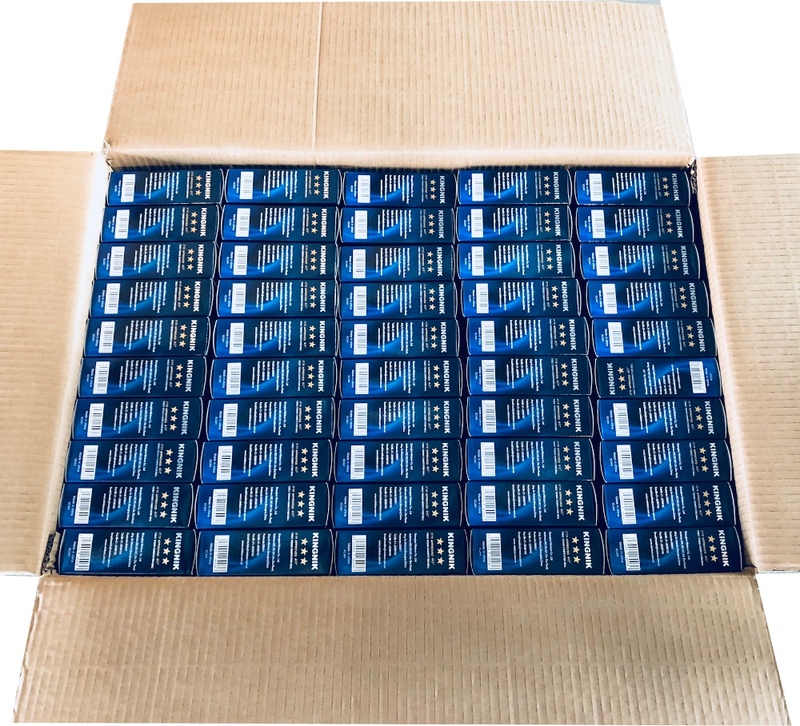 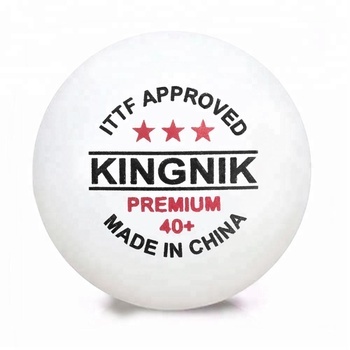 Grade: ITTF approved, can be used for Olympic games,World Cup, World Table Tennis Championships and other big competitions, professional training, etc. 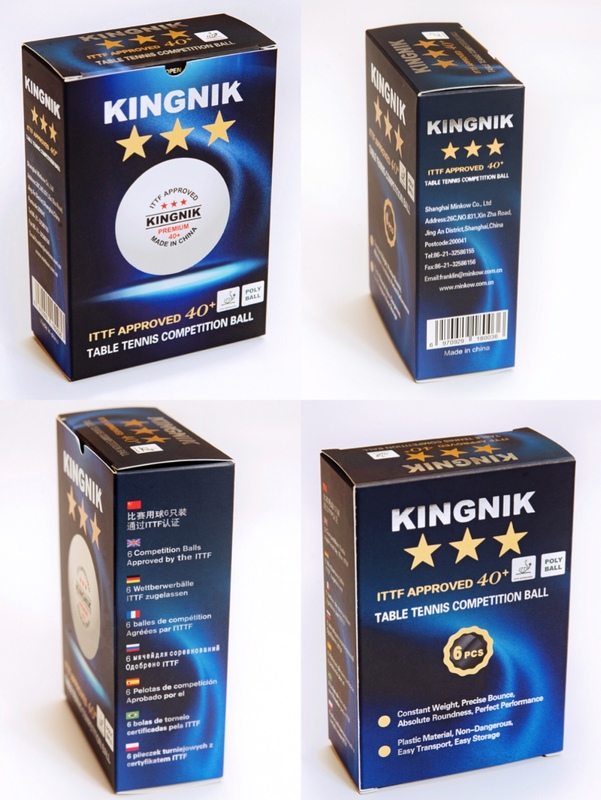 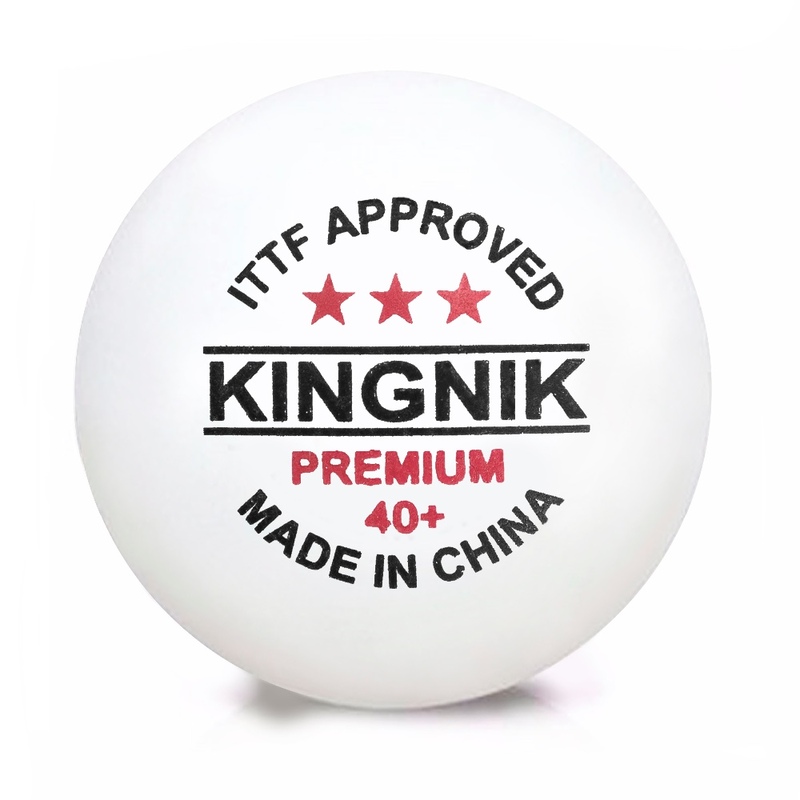 "KINGNIK" has been approved by the ITTF (International Table Tennis Association). 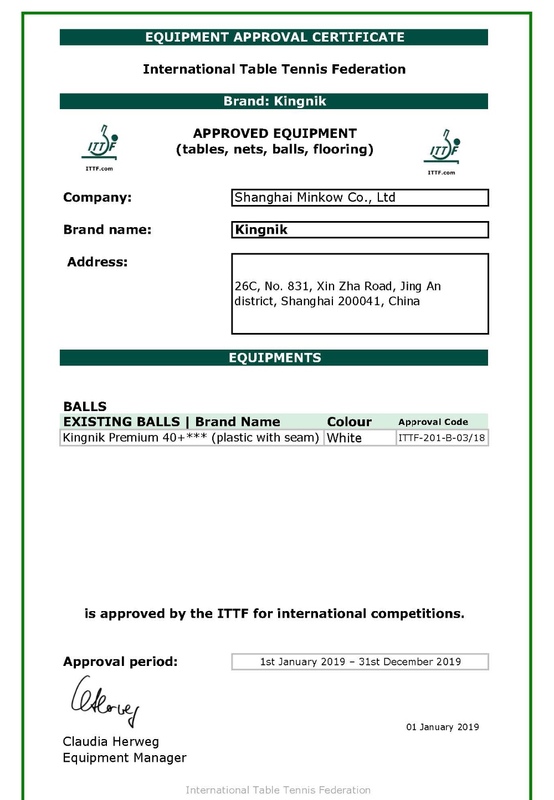 New balls formally meet the new regulations for non-celluloid balls, which will officially be used at ITTF-sponsored events around the world. 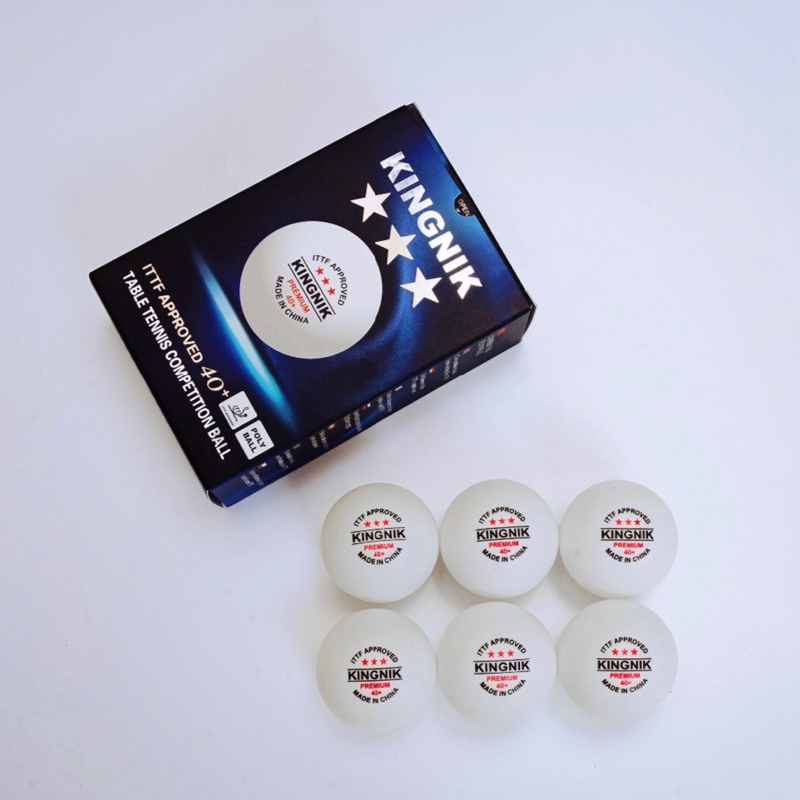 New balls are made of poly plastic, the new official material for table tennis balls. 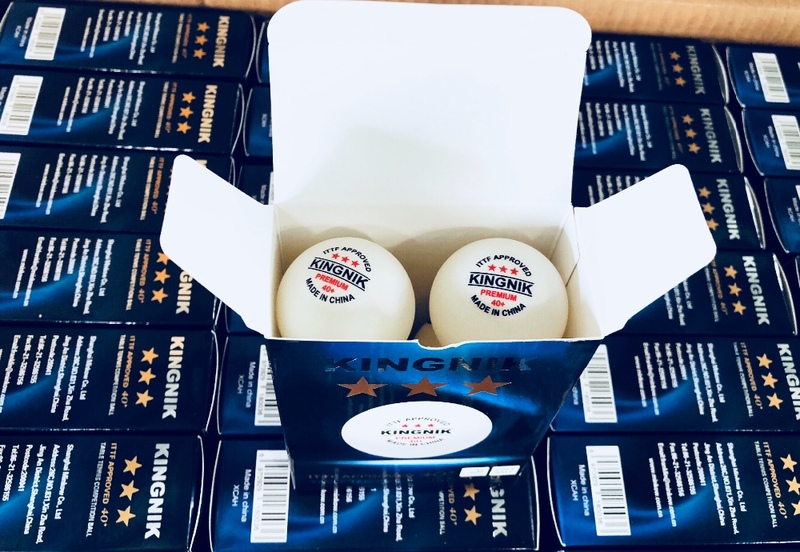 Traditional balls are made of celluloid, containing components used in dynamite, making them dangerous to produce, to ship and to store. 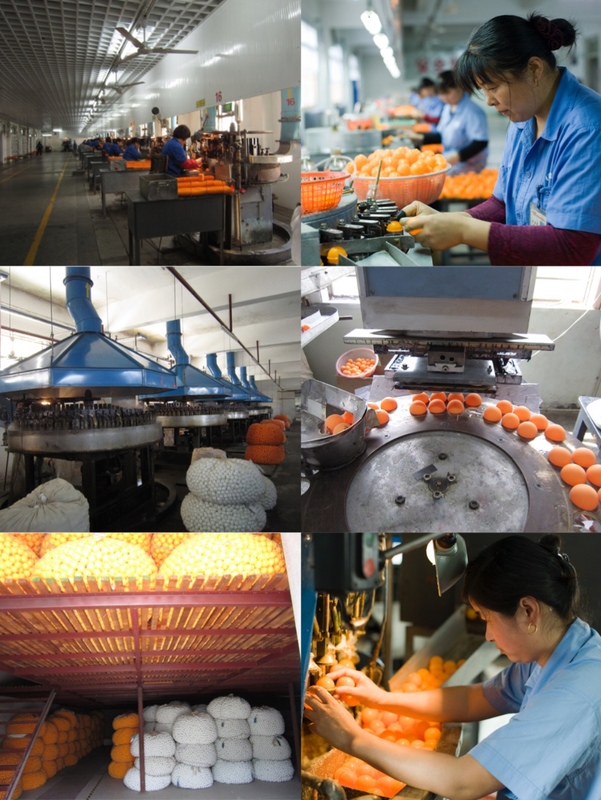 Poly plastic is chemically stable, safe to use and for you to keep at your warehouse or home. 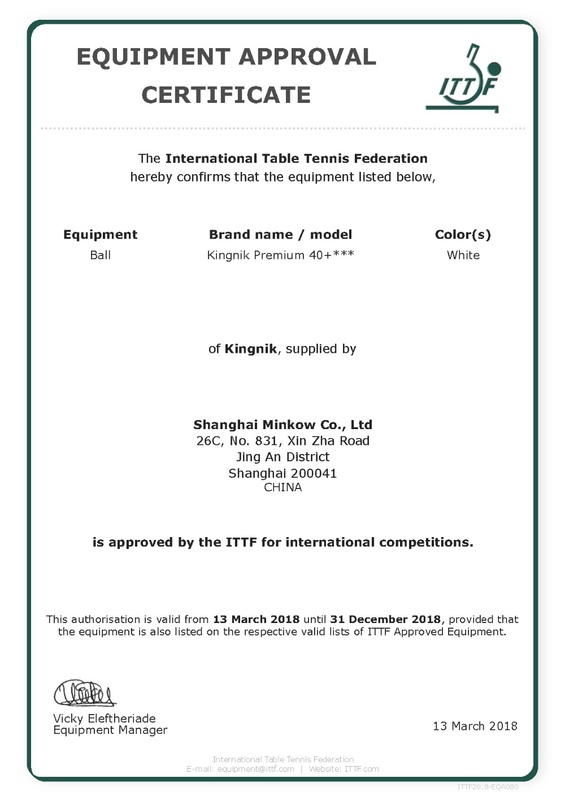 The supplier is ranked number 9 by delivery data in Indoor Sports.